Your donations towards the Arya Baal Ashram would be appreciated...... Please donate generously....Contact: aryasamaj@unwired.com.fj. 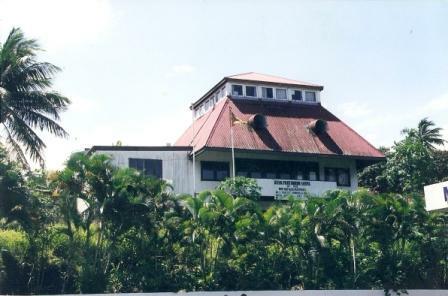 Historically, the Arya Baal Ashram (Boys Centre) fulfills the aspirations of the Arya Samaj followers in Fiji who at the 10th Anniversary Celebrations of the Arya Pratinidhi Sabha of Fiji from December 30-31, 1927 to January 1, 1928 held at Gurukul, Saweni deliberated on the issue and resolved to establish homes for orphans and children who were socially vulnerable. Arya Samaj in Fiji was established on 25 December 1904 at Samabula and the Sabha was established in 1917 but registered under the Religious Bodies Registration Act Cap 68 (Fiji) in 1918. To think of orphanages in the era when Indians had just come out of the indentured en-slavery is an unparalleled indicator of their belief in social empowerment of the people. The issue of an ashram remained pending for want of an opportune environment and preparations for Arya Samaj Centenary in 2004 prompted the Sabha to undertake new initiatives other than schools. These include the Vedic Training Centre (2002), The University of Fiji (2005) and the Arya Baal Ashram (2006). The Sabha embarked on the Arya Baal Ashram project in 2003 and had the facilities ready for operation in 2005 but was preceded by the University project. The Arya Baal Ashram commenced operations on 28 January 2006. It is located within the DAV Girls College and Arya Samaj Primary School compound at Lot 2, Kula Street, Samabula and is situated within the Vedic Training Centre building. At that time of commencement only 3 young boys had enrolled at the Ashram for its services. By the time the Ashram was officially dedicated it had enrolled 12 youngsters all of whom were of school age. The Ashram was officially dedicated on 10th September 2006 by the Minister for Women, Social Welfare and Housing Honorable George Shiu Raj. The Ashram has the capacity to house 20 boys of school age. Currently there are 5 youngsters, 4 of whom are at Arya Samaj Primary School and 1 at DAV College, Nabua. The basic entry qualifications are – interest in schooling, values education (Naitik Shiksha) and vegetarian life style. All the educational costs, medical, transport and catering expenses of the boys are met by the Sabha through public support. It costs around $500 per child per year to keep and provide food at the Ashram. Coupled with the cost of education each child’s annual upkeep is approximately $1200.00. The Committee reports to the Executive of the Sabha every quarter providing details of its work, financial account for the period and plan of action for the ensuing months. The Committee follows the practice of good governance and each donation is appropriately receipted and duly acknowledged. Externally audited Financial Report is subject to the Annual General Meeting of the Sabha. 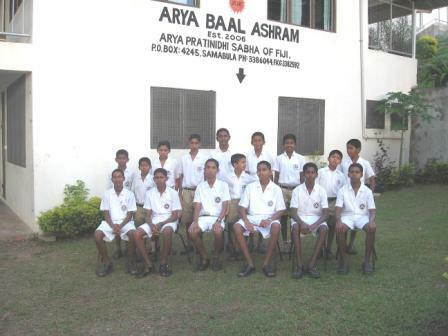 Apart from accommodation and catering of the boys at the Arya Baal Ashram, the Sabha through the Management Committee provides for their primary and secondary education currently with scope of vocational and tertiary education including university in the future depending on the academic potential of the boys. Additionally the Ashram provides for the learning of Hindi, music, gardening, moral values, housekeeping, cooking and yoga. Public visits to the Ashram could be organized as individuals or groups provided the interested party makes prior arrangement with the Manager of the Ashram. The Arya Baal Ashram largely caters for boys at risk who have been either abandoned, or have separated family, or one of the parents has died or the caregivers are too old to care and support them. This would continue to be the case in the future. The Ashram has the capacity to cater for 20 youngsters, currently there are 16 of them. There would be the annual need to financially sustain the work of the Ashram. As such an appeal is made for your generous support so that together we could redefine the lives of a group of disadvantaged young boys in the positive. Your donation would be duly receipted and acknowledged. All donations are to be sent to PO Box 4245, Samabula, Fiji with details of the donor and postal address. Optionally donations could be deposited into Westpac Bank (Suva)- Account No: 91057100.